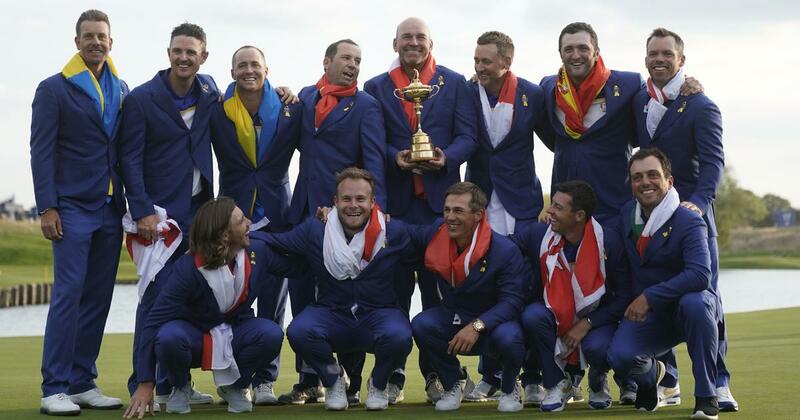 Europe regained the Ryder Cup by rounding off a dominant performance on Sunday to beat the United States 17.5 to 10.5 at Le Golf National. – Thomas Bjorn’s hosts started strongly in the opening fourballs on Friday, but Koepka and Finau flipped around the first match as the US claimed an early 3-1 lead. The turning point was when rookie Finau’s tee shot on the par-three 16th hit a railway sleeper separating the green from the water, spun into the air and settled three feet from the hole. He made the putt to level the match, and the Americans went on to win it on 18 as Rose found the water. “It’s the best break I’ve gotten when it meant something. I think that one will be replayed for a long time to come,” said Finau. – Molinari and Fleetwood got their record-breaking partnership under way with a 3 and 1 fourballs win over the misfiring Tiger Woods and Patrick Reed, but it was their crushing victory against Spieth and Thomas which really sent shockwaves through the visiting camp. It was the only match Thomas and Spieth lost as a pairing, and proved crucial as Europe secured the first foursomes whitewash in their history. – Europe got off to a flying start in Saturday’s morning fourballs as McIlroy and Garcia stormed clear of Koepka and Finau. The Americans launched a thrilling fightback, though, by winning three consecutive holes as they threatened to become the first duo to ever win after being 4-down with five to play. But after McIlroy had taken the pressure off by draining a long par effort, Garcia curled home a perfect 25-footer for birdie, with victory secured when Koepka missed his birdie try. The point sent Europe on their way to a 3-1 session win and a commanding 8-4 lead. – The Americans surged back at the Europeans on a gripping final afternoon, and Thomas led the way with victory on the 18th. Thomas snatched the win on the final hole of his opening match with McIlroy, as the four-time major champion smashed his drive to a plugged lie in a bunker, left his second shot in the sand, before sending his make-or-break third into the water. “It was a heavyweight pillow fight, if you will,” admitted Thomas of a match that, although exciting, failed to see either player find their very best. 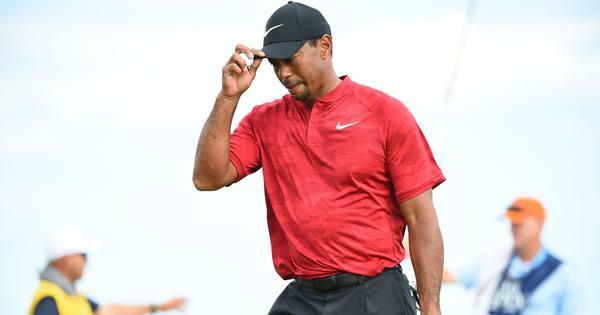 – With the tide seemingly turning towards the visitors as they cut the Europeans’ lead to one point, Woods hit back against Rahm to level their match with six holes to play. The Spanish rookie recovered to move 2-up, only to show his nerves with a missed short putt on 16 to see his lead halved with two holes remaining. But the 23-year-old Rahm – the youngest player at the 2018 event – crushed a massive drive down the 17th fairway, spun a wedge to five feet, and holed out for a vital win that put Europe to within two points of the trophy.